Are you looking for some really nice knee pads for paintball? 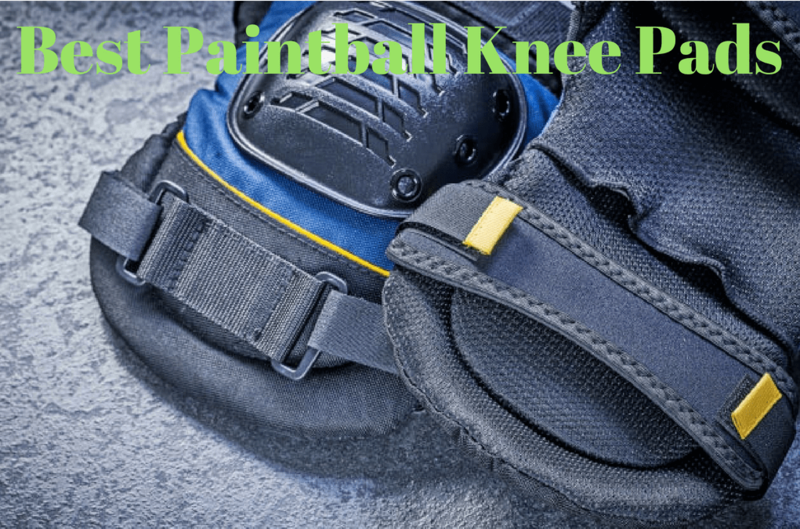 If you are you are in the right place because here I have prepared a list of 5 really amazing knee pads that would protect your knees while you are crawling, diving, etc while playing paintball. So, let’s begin with the Top 5 Best Paintball Knee Pads in 2019. GI Sportz Race 2.0 knee pads have adjustable velcro straps on the bottom and in the center, the back is made of breathable wicking fabric. It is two-layers fabric on the back. There’s like a really soft smooth layer on the inside that would rub against your leg and then the outside is a little bit tougher and a little more durable. They should be very breathable on the back. They also have removable pad just like the Empire neo skinned knee pads. You can remove the inner pad to make it a little bit lighter and comfortable. Now let’s talk about the main knee pad which actually is going to protect your knee. So, the main knee padding is very similar to dye knee pads or exalt knee pads. It has got kind of firm feel but also feel a ton of soft at the same time. It definitely should provide protection and hold up to the abuse. I do like the fact that it covers the sides of the knee. So, this gives complete knee protection. The part below and above the knee is made up of a definite firmer pad. It is 2 to 3 times harder than the main knee pad. The material on the inside feels really good. Lycra-spandex material all over the inside of the pad whether it’s on the back inside or the whole front makes them really smooth and comfortable which is really good. Overall, these are big in size, pretty secure knee pads. They’re very lightweight, flexible and super comfortable. You should definitely check these GI Sportz Race 2.0 Knee Pads out. 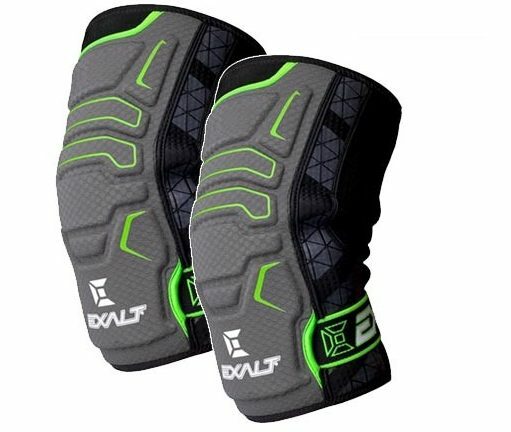 I have been using Exalt Freeflex Knee Pads for last 1 year. They have so much padding on them. You guys can be very confident sliding over like gravel wearing these. So they’re gonna be really really nice pads, crazy comfy and made up of a sort of breathable material on the underside. In my opinion, Exalt Freeflex Knee Pads are the king of all padding. On the outside, there’s even a very very thick cushioned pad for the back of your leg. So if you take a shot on these knee pads you’re gonna be just fine. 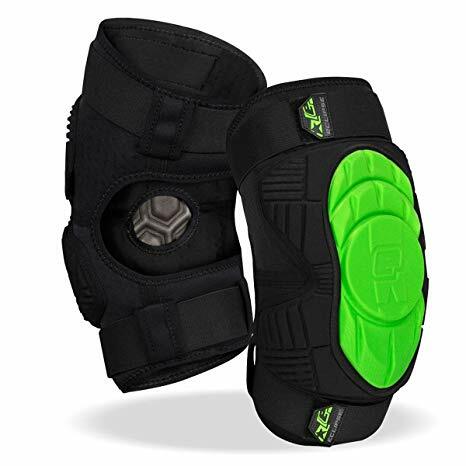 One of the best features these knee pads have is smartly designed velcro retention straps. When you put the pad on, velcro it into place and then you can actually rotate the velcro strap so that the tag or the end of it is actually underneath the pad itself so you’re not going to catch it on anything or accidentally open the strap. I know it’s very easy to get the edge of your velcro strap caught on something and then have it removed and you got to have to fiddle with your knee pads. Overall, these are pretty secure knee pads. They’re comfortable, nice, thickly padded and are not going to slide around on you. You can slide and run into things, fall over, be clumsy all day long and your knees are gonna be protected. If you’re in the market for new kneepads then these are going get the job done. Next on the list is HK Army Crash Paintball Knee Pads. These have a very very thick, wider padding which will cover your upper and lower knee area. These are quite thick so they will need a little bit of time to kind of break it a little bit. 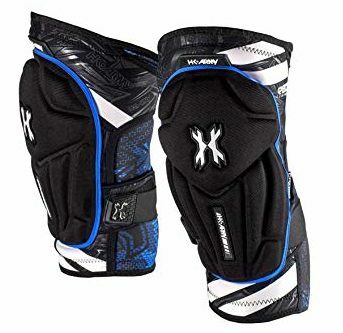 When you first get them they might feel just a little a little stiff which is normal for the knee pads that have a large amount of padding in them. One of the cool features with this pad is on the backside. It does have a lower strap that would keep the pad from wanting to slide down. Elastic bands that have velcro straps on them are going to keep the pad in place and keep it from moving around. Inside of it is made up of spandex material which is kind of stretchy and smooth so, that you feel a smooth touch on your legs. It’ll also help you with breathability and flexibility. Overall, HK Army Crash Paintball Knee Pads are great pads as far as comfort, movability, breathability and moisture wicking is concerned. Most importantly provides you a plenty of protection because of the way it’s designed. 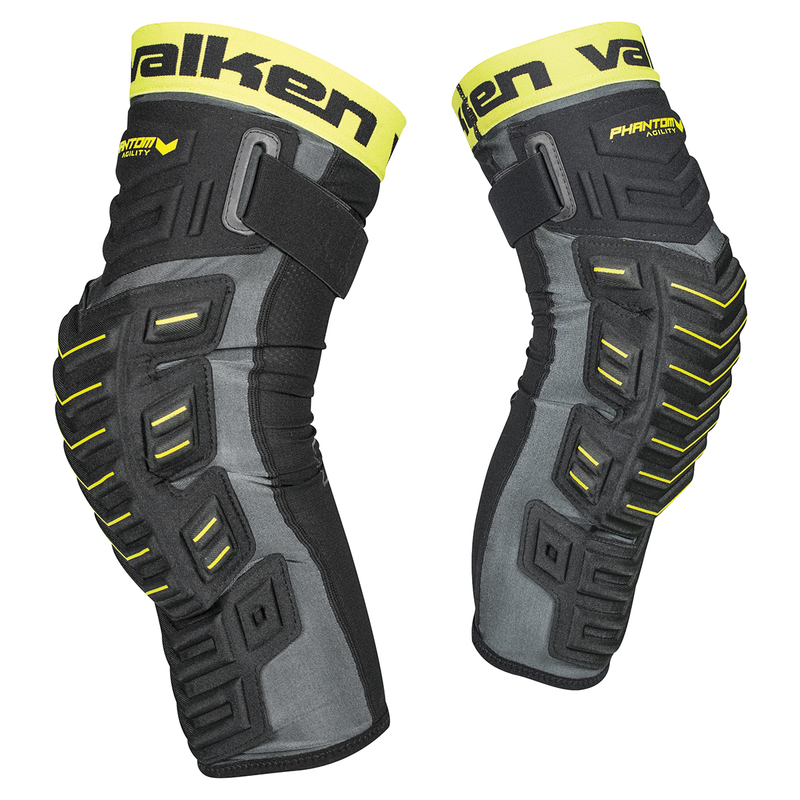 Valken Phantom Agility Knee Pads are lighter, faster, agile, moisture wicking, good heat transfer and all those things we want in our protective layer of clothing. These pads deliver lightweight thin mesh materials on the back. It’s gonna keep your legs comfortable and keep that air transfer going on inside of there. Just make sure you’re wearing pants that are breathable as well. These come with the nice elastic, removable, adjustable straps on the back of them. The elastic cuff at the bottom of the back will keep your knee pads to slide down. It has thin, heat transfer, the moisture-wicking material on the back to keep you comfortable while playing paintball. The front lower section is separate from this middle section which just gives better movement in the knee pad. The middle section has got really good padding. 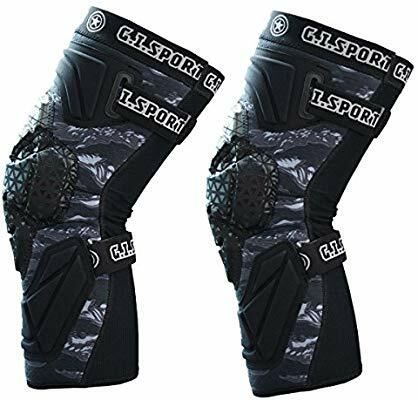 It has also got side knee protection padding just like GI Sportz Race 2.0 Paintball Knee Pads which is very important. Front section has got nice little cuts for the perfect flexibility. Overall, these are great paintball knee pads. They are super flexible, breathable, and most importantly provides great protection and movement to the player. Next on the list is Planet Eclipse Overload HD Core Knee Pads for paintballing. Interestingly, it has both the top and the bottom adjustable velcro that goes around the back through the little belt loops and which really gives you a lot of control and stability. You can accordingly adjust on how tight you want your pads to be and how well they’re gonna stay up on your knees. It has breathable foam with the little holes in it so, it’s gonna keep you nice and cool. The padding along the front is cut into a couple of different sections. What that does is it helps with the Flex of the pad without really distorting the shape of the pad. There’s a hole now in the backside for you to actually grab the pad and you can pull it out. You can take it out and can cut this if you wanted to change the shape of the padding. You could fold it over and slide another extra padding and it gives you double the amount of padding. So it gets on you how to customize your knee pad to the amount of protection that you’re looking for. It has the dual straps on it and made up of breathable material. They’ve made this one just a little bit wider, a little bit more comfortable and added a lot more padding around the edges to protect your kneecap all the way around. Well, these were the top 5 Best Paintball Knee Pads in 2019. If you’re looking for good quality knee pads for paintball, definitely choose one from the list of these 5 knee pads specially designed for paintball. If you have any questions regarding these 5 paintball knee pads or any other suggestions, kindly drop your comment in the comment box. I would be happy to read them.